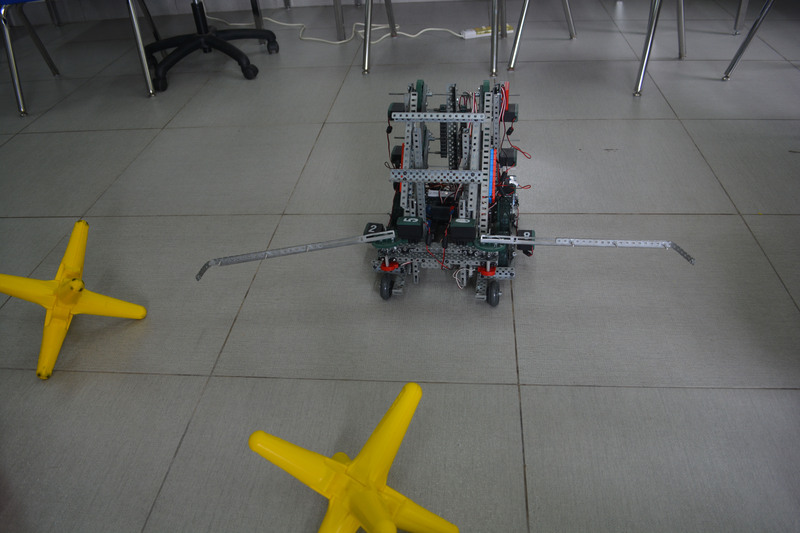 Previously, Geeks in Cambodia was introduced to Liger’s Botjitsu programme where 10 students from Liger Learning Centre built a robot for the VEX Robotics Competition in Taiwan. The team were Cambodia’s first ever entry in the competition and they did the Kingdom proud by coming back with a judges award which recognised their potential in the field of robotics. Two zones, Near and Far, would be setup. Continuing on our conversation, we sat down with the Liger Botjitsu team (Liger) as well as their facilitator Waseem Girach (W) to find out more about their experience at the VEX competition. Could you describe your experience at VEX for us? Liger: It was really dramatic because we reached Taiwan with our robot only equipped with 8 motors instead of the maximum of 12 because we weren’t able to get access to more. However, a donor gave us another 2 motors at the last minute and Waseem managed to get another 2 as well so we were adding additional motors to the robot all the way through the qualifying rounds. In the first three matches of the competition, our robot was stuck and could not move because we focused on adding the motors but neglected the coding and didn’t organise some of the wires well enough which affected the performance of our device as well. Despite all that, by the time we were competing in the 6th or 7th round of qualifying, our robot was fully functioning and working much better than before. Given all the challenges, did you expect to be awarded the judges award? Liger: Nope, we didn’t expect to win it, especially given the fact that our robot did not function in the first few matches. However, I think the judges recognised that we were the first Cambodian team and that our product was something that had a lot of potential. In fact, one of the judges commented that their own students couldn’t even develop a robot at the level of ours in the first year, let alone the fact that we had only worked on it for 7 weeks. W: Additionally, I think the judges also recognised the fundraising efforts of the team as well as the resource constraints we worked with. We were competing against teams who had a room dedicated to building the robots for the competition that was twice the size of ours, as well as against teams who had the official game arena at their disposal in order to test out their robots. So I think the judges recognised the disparity in resources as well. What was it like to be the first ever team representing Cambodia? Liger: We were really proud to take part and represent Cambodia for sure, especially being the only team from Cambodia. Countries like Thailand, Singapore and Tokyo were represented by multiple teams as well, so it made us feel really special to be the only Cambodian team. Additionally, we were also the youngest team in the competition both in terms of age and experience. We only worked on the project for a 7 week period before entering the competition while our competitors had 2 or 3 years of experience in the competition and had started building up their entries months in advance with better equipped facilities. When Liger initiated this exploration, it was also done with the aim of making the team “change agents”. What was the sort of change you were hoping to inspire with this exploration? Liger: One thing would be for tech. We think that there aren’t a lot of people who are joining tech activities so we’d like to encourage them to try it out and experience how good a journey exploring tech can be. We also want to inspire them to try something new and to create new tools using tech. For example, in the context of our project, even if they were not directly involved in making a robot, they could explore 3D printing which could help us print a part of the robot. We definitely also hope to inspire more youths to enter the tech industry. Aside from technical skills, we also hope to inspire people to have a healthy spirit of competitiveness, to have a winning mindset and to push people to always look forward. The Liger Robotics team with their facilitator Waseem and the VEX judges award. What would be your encouragement to people to pick up coding, robotics building or to enter into a similar field? Liger: First of all, we would tell them that programming and robotics are really fun areas to explore. Although there maybe a lot of problems through the process, the feeling of exhilaration when you solve it and the robot works in unbeatable. What’s more, robots also have the capacity to change Cambodia through what they can do. For example, even at malls, when the automatic doors open, there is an element of robotics in that. We believe that with the knowledge of robotics, people will have the tools needed to change and develop Cambodia for the better. 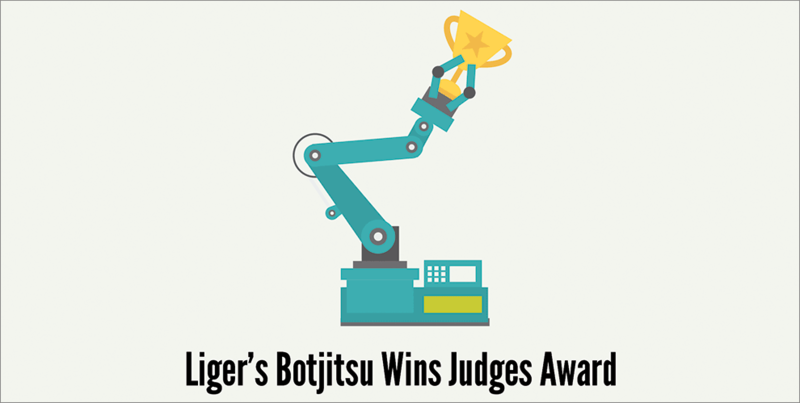 Congratulations to Liger’s Botjitsu team on their fantastic achievement! We wish them all the best in improving their robot for next years’ competition. The VEX robotics competition is one of the world’s fastest growing competitions of its kind and it pits students from all around the globe against each other in a game-based robotics challenge. For the latest developments in the Kingdom, stay locked to Geeks in Cambodia.